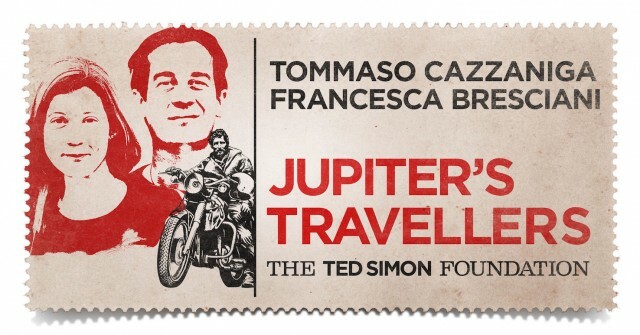 A book that tells the story of a motorbike trip… that at a certain point stops tragically. The protagonists lose everything but the will to start over takes the place of feelings of failure and disappointment. The moral of the story? “Behind each trip there is always another one to start again”. A classic ‘once in a life-time’ journey, well planned in all details. The destination is Mongolia, starting from Como, Lombardy. A motorbike (a 1994 Honda Africa Twin to be precise), two people (Francesca and Tommaso), around 150 litres of baggage and roughly 23 thousand kilometres to do. To reach their destination and return home the couple must pass 19 Countries, on the way out through Russia and on the way back following the Silk Route. A June morning their journey begins and arrives to Siberia… where it stops tragically. A road accident changes things.They are alive by miracle, lying unconscious on the road in a pool of blood. 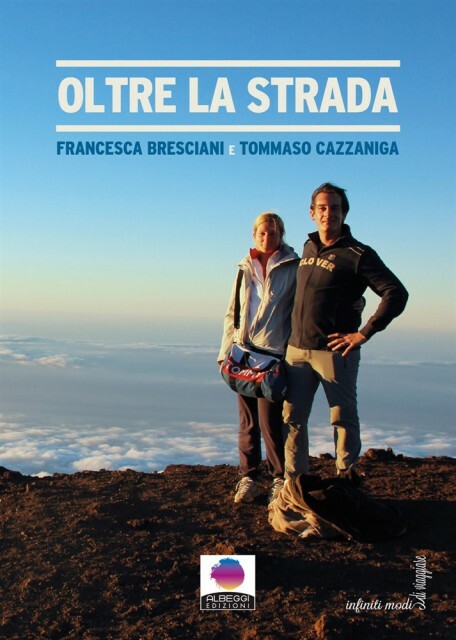 Francesca and Tommaso wake up in hospital beds, where they will stay untill recovered. They have lost everything. A feeling of failure and disappointment appears, to be substituted by the awareness that their condition, however terrible, makes them feel freer than ever. Francesca and Tommaso start seeing things from a different perspective. Their story is told in this book, to recommend to all lovers of motorbike trips and in general to all who dream of adventures and far-away lands. The epilogue has a happy ending, but nobody has written the word ‘end’ yet. This is the message of ‘Oltre la strada’. Being travellers means always having a new dream to realise.